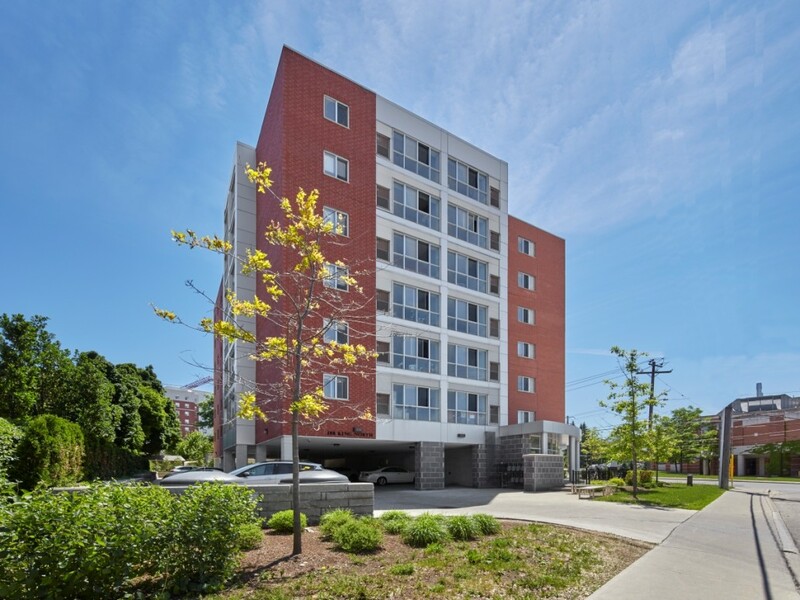 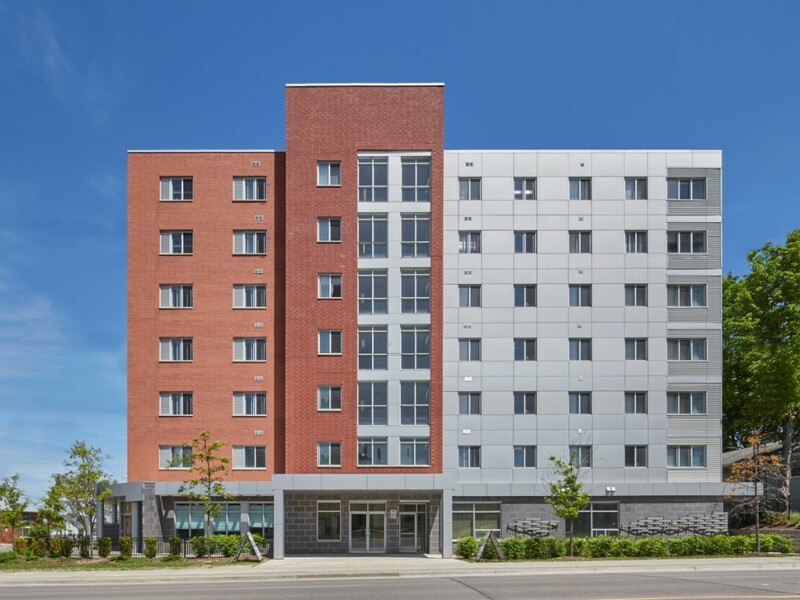 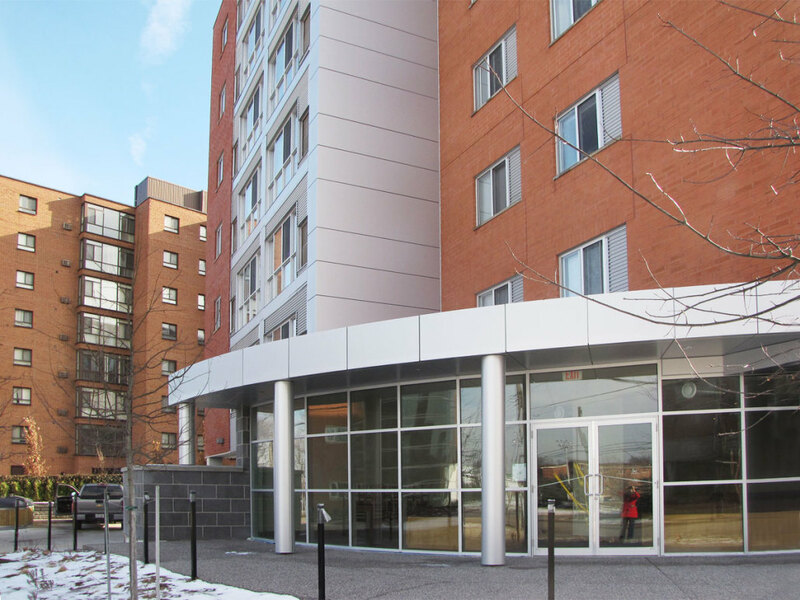 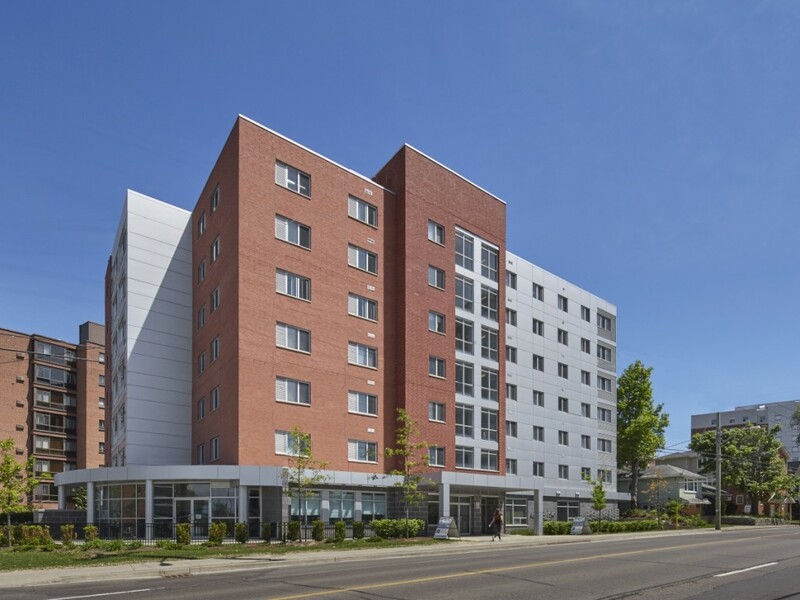 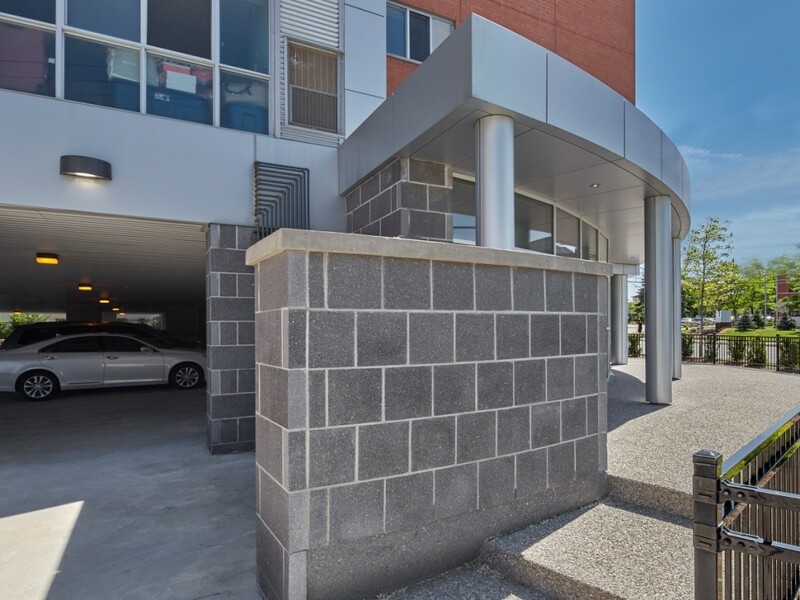 A large, curvilinear amenity space with a view to the street addresses the corner of King and Lodge Streets at this 7-storey, 120-bedroom student apartment building adjacent to Wilfrid Laurier University. 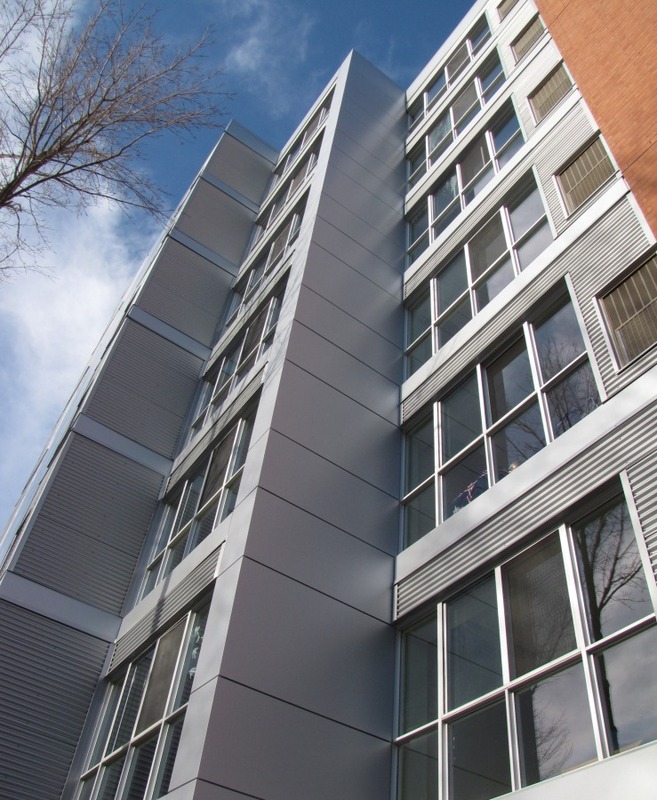 The building is of durable ICF construction with brick and aluminum panel exterior finishes. 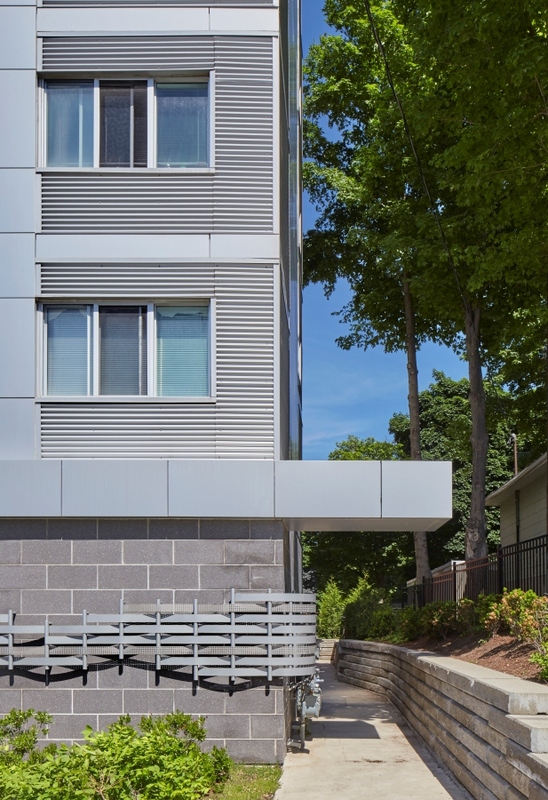 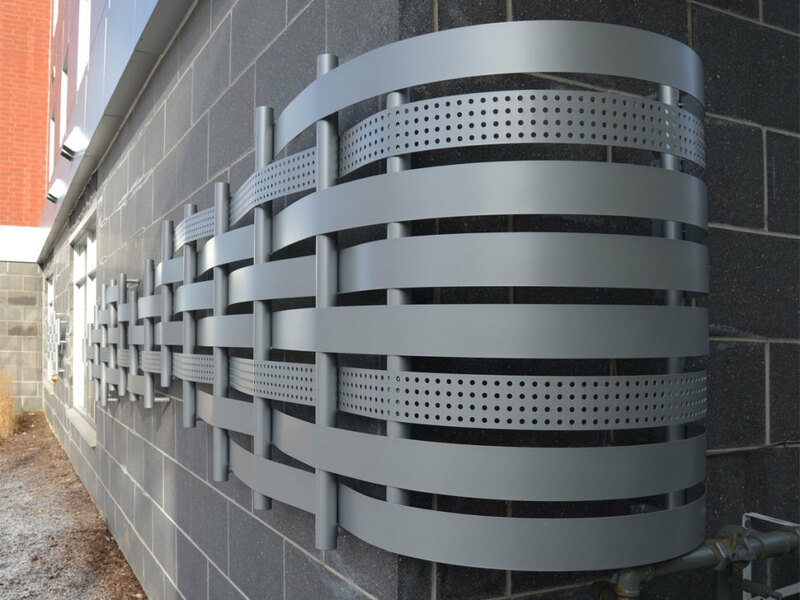 It addresses the street with a tight setback and landscaping, as well as incorporating artwork at grade to create interest and make a connection with the surrounding community.